Our Outpatient Centre offers a wide range of hospice care services, including complementary therapies and palliative medical care. The centre has light and airy consulting rooms and includes a gym, music studio and comfortable waiting areas. All of our services are funded by donations, so there’s no cost to you or your family. The centre is wheelchair-friendly and there’s on-site, free parking. If you can’t get to us, we might be able to come to you. Our Community Team visits hundreds of patients in their own homes every year. 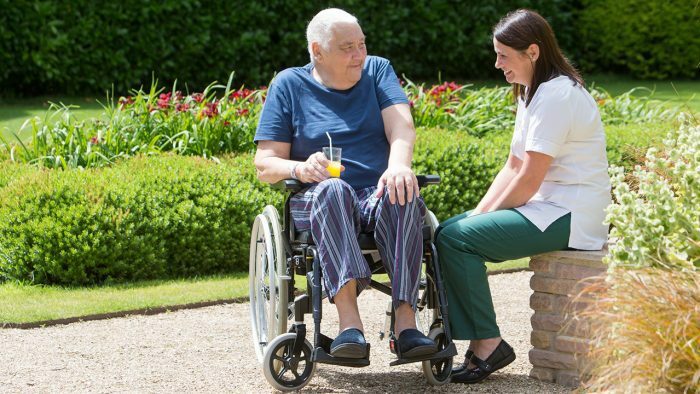 Find out more about the services offered by Rowcroft Hospice. 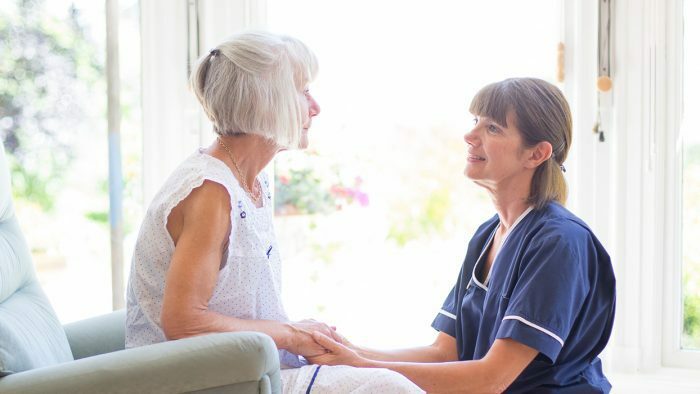 Find out more about Hospice Care at Home. Please ask your GP, consultant, or Community Nurse Specialist to refer you to Rowcroft Hospice. If we’re in agreement that you meet our criteria, we’ll get you booked in for an appointment as soon as possible.